Dr. Sepe is committed to providing excellence in dentistry, and stands out as a leading dentist in West Roxbury. The doctor uses the latest in dental techniques to provide you with a beautiful and healthy smile. Additionally, Dr. Steven Sepe believes strongly in education to prevent oral health problems before they occur, and makes sure to keep patients fully informed about their dental health. 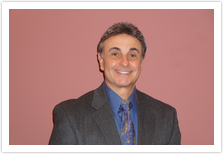 Read more about West Roxbury dentist Steven Sepe below. Dr. Steven Sepe is committed to providing you with the highest quality and best service in dental care. The practice of Steven Sepe, D.D.S. is a dedicated state-of-the-art dental approach, providing comprehensive, personalized, high quality oral health care for the entire family. Personal quality care always with the same doctor who gets to know his patients and help transform the quality of their life through their smile. Dr. Sepe's gentle and warm touch relaxes his patients with the comforts of stereo headphones, video games, and the internet. He is always concerned with his patient's chief complaints. The office is not a high pressure environment that only treats the problem with one solution. He is here to educate the patient on all of their options and allow them to make the best educated decision that satisfies their needs. Dr. Sepe grew up about 15 miles to the west of West Roxbury where he attended local schools in the area. He graduated valedictorian of his high school class in 1974. In 1978 he graduated with high distinction from Worcester Polytechnic Institute with a B.S. in the field of biomedical engineering. He attended New York University College of Dentistry where he received his doctorate of dental surgery in 1982. He was awarded the outstanding periodontal student award in the department. He has now been practicing general dentistry for over 30 years in Suffolk County. He has been recognized numerous times as the "Top Doc" Reader's Choice award recipient. He attends and has completed numerous hours of continuing education courses on a yearly basis. He has been participating in the Massachusetts Elder's Dental Program since 1995. This is an organization of participating dentists who provide dental treatment to people who lack adequate income to pay for dental care and are permanently disabled, medically at risk, or are 65 years or older. Dr. Sepe is happily married with a son and a daughter. He enjoys the outdoors and participates in some of his favorite hobbies such as fishing, gardening, hiking, reading suspense novels at the beach, and wood carving. He is also an avid sports fan of the local teams. He enjoys supporting and watching the Red Sox, the Patriots, the Celtics, and the Bruins.